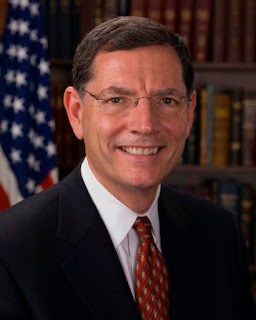 You are currently browsing the archives for the John Barrasso category. The Democrats, specifically Jonathan Gruber, have tried frightening people into thinking that Republicans want to throw 20,000,000 people off of health insurance. Sen. Barrasso’s speech indicates that Democrats are engaged in outright fearmongering. Sen. Barrasso is a man of integrity. He’s also a health care expert. He’ll be the Republicans’ health care expert in the Senate. He already is.